These are stories of my Civil War ancestors. 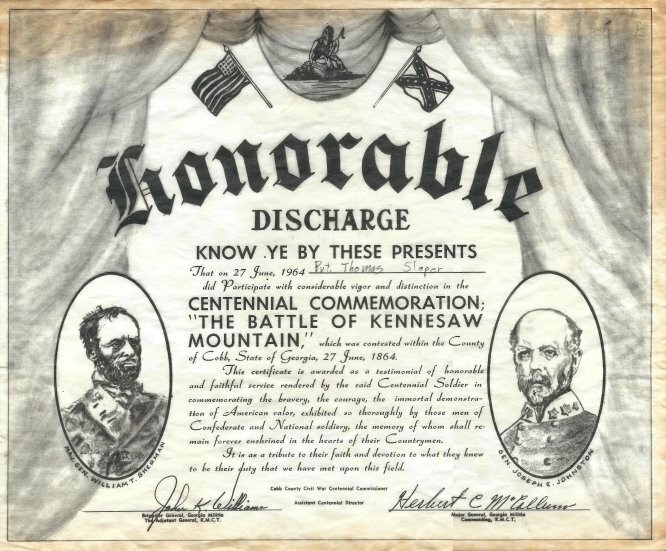 I researched the military and census records of 17 ancestors (15 Union and 2 Confederate, all except two of them with New York origins, and it's not the two you'd expect). Then I fleshed out their war stories with imagined dialogue and details. When it's completely finished, it might be considered a historical novel. In the form of short stories or vignettes. This site is a work in progress. 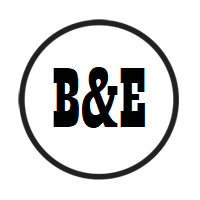 It was created at BloodAndEarth.com on Jan. 17, 2019. The first stories were uploaded on Jan. 19. These stories are subject to correction and improvement. Reader comments may be sent to tsloper @ bloodandearth.com. This is fictionalized, but it's based on actual people who were involved in actual events. If a reader is transported to the past but gets hit in the face with an anachronism, then that's gotta be fixed! Apologies in advance if I offend relatives. I've made up the dialogue (mostly), but these are actual events (mostly) (#saidthatalready). I may find that I need a log of what's true and what's made up. That'll be fun. :rolleyes: The profiles below are listed in no particular order. If you want to jump, use Control-F (Command-F if you're on MacOS) and type in a battle, or a place, or a name if you know it. See what might come up! Relation: My great great grandfather; after the war he married the sister of Francis S. Howe, below. War Status: Survived (and that's more than can be said for the three cavalry horses he rode). George Jewell was kidnapped at age 2, and "bound" to the childless Van Arsdale family. After he learned his true origins in school, he surely felt deep animosity for the institution of slavery. George was 16 when he joined the cavalry; he didn't turn 18 until after the war ended. 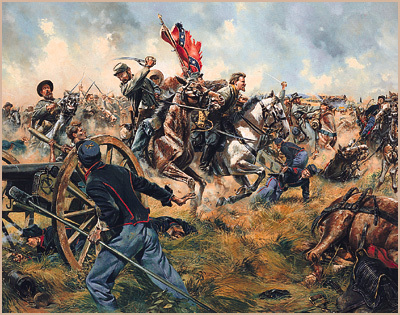 In 1864-65, the 15th New York was in Custer's division. Rev. George Van Arsdale and wife (1889). Name: Francis Sylvester Howe The Howe Boys' story "coming soon"
Left: Uncle Francis (described above image) and Uncle Harrison (below) marched with Sherman through Georgia and the Carolinas. Right: 100 years later, I participated in a reenactment of Kennesaw Mountain. The town square still had separate public facilities for whites and colored people. Name: Harrison Howe The Howe Boys' story "coming soon"
Name: Daniel M. Sloper Daniel's story "coming soon"
War Status: Deserted, survived. Daniel and his brother John were born in New York but moved to Virginia when they were young. 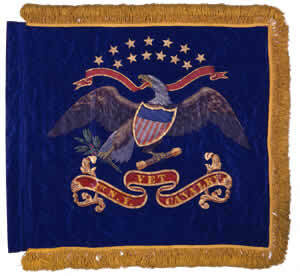 The flag of Daniel's regiment. The regiment's original flag was pink, so this is a later flag. 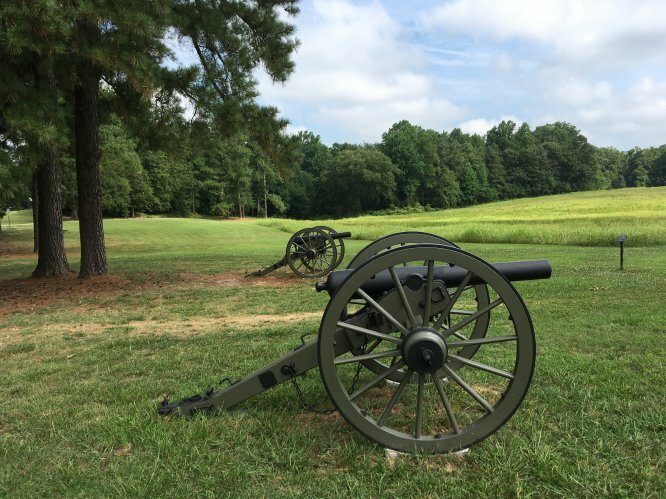 In Daniel's last battle, he took a position on Marye's Heights, overlooking a field of dead and wounded Yankee boys. Daniel deserted on a moonless night a few weeks later. Left: The 35th Virginia was known as "the Comanches" because of their "wild Indian" war whoops and fighting style. 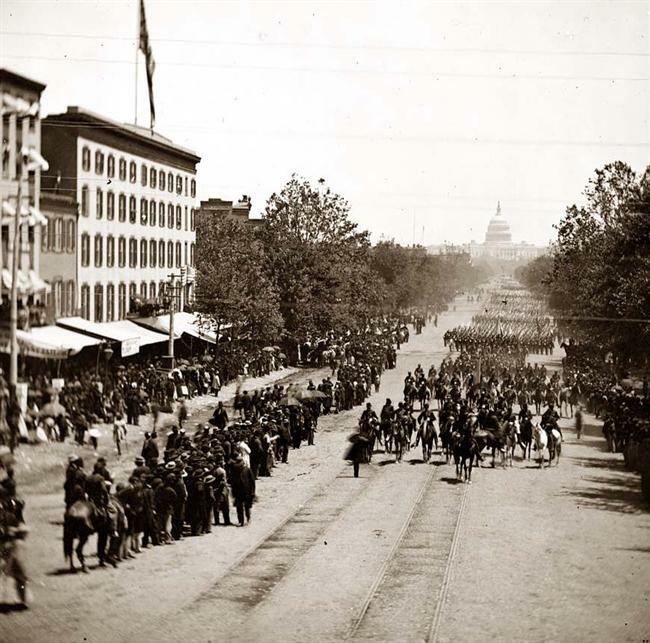 The unit chose not to surrender at Appomattox, riding out after they saw the white flags. 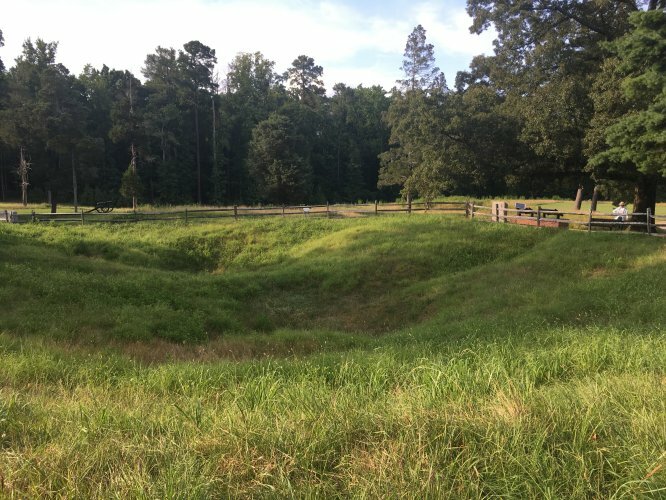 Right: the famous crater at Petersburg (2017). Name: Gilman J. Sloper Gilman's story "coming soon"
Gilman and his cousin John fought on opposite sides at Cedar Creek and again at Petersburg. 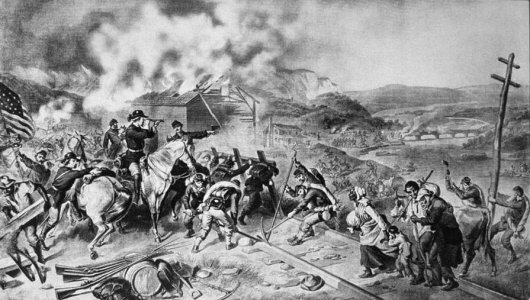 Left: Sheridan rallies the troops at Cedar Creek (1864). 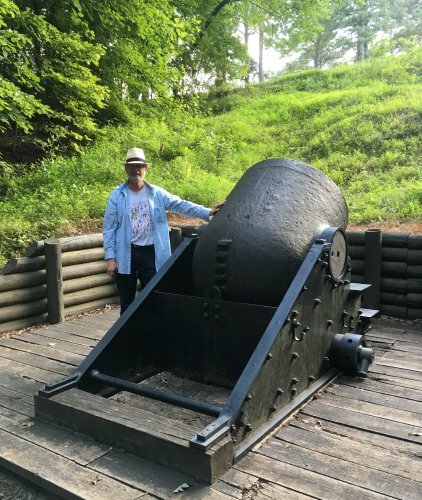 Right: the famous mortar, "The Dictator," at Petersburg (2017). 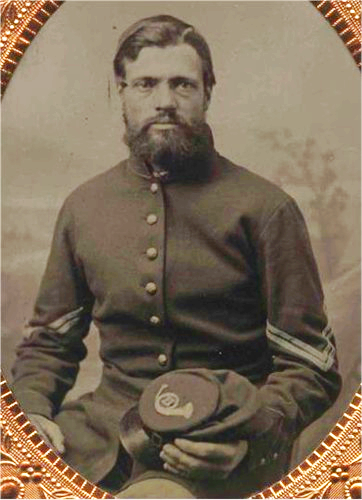 Name: Henry Sheafe Sloper Henry's story "coming soon"
Left: In 1861, Henry was with the 5th Massachusetts at Bull Run (pictured: Henry Hill). Right: In 1862, Henry and the 7th Massachusetts were attached to VI Corps, near Slaughter Pen Farm, at Fredericksburg. War Status: Died in prison, a P.O.W. 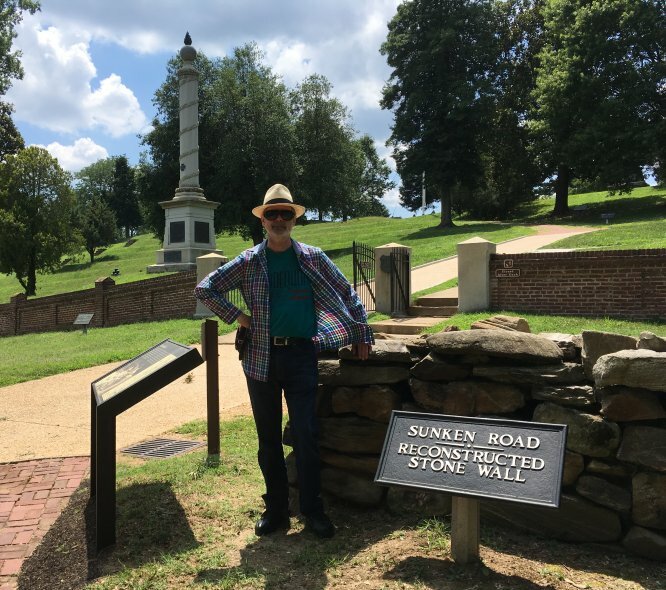 in Richmond VA. Robert Knox Sneden, in his memoirs "Eye of the Storm," described an adventure with Nathan Bradley while in that prison (a sergeant "who belonged to the First New York Dragoons" - and Nathan was the only First Dragoon sergeant held captive at the time). 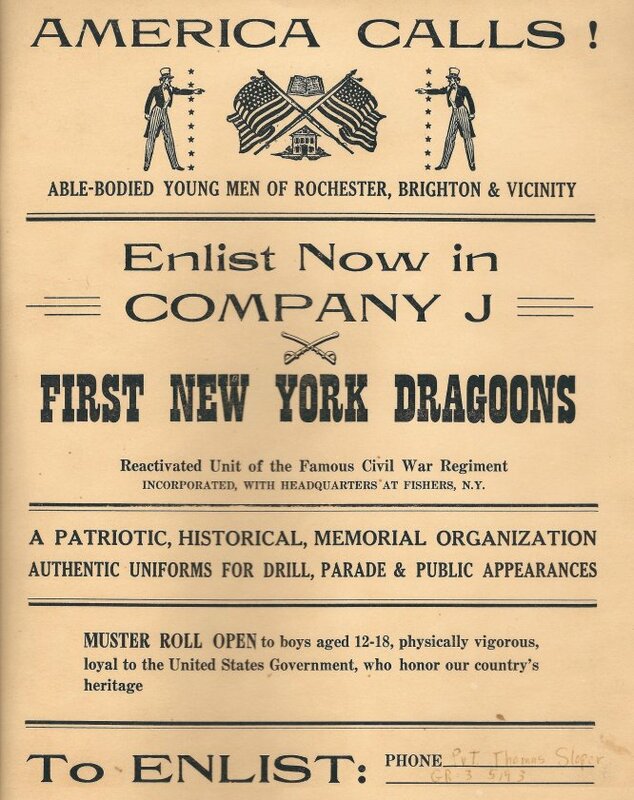 Left: the flag of the 1st NY Dragoons. 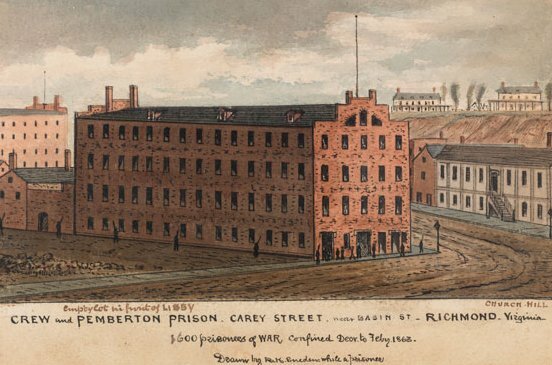 Center: The building where Nathan was held captive (drawn by Robert Knox Sneden). Right: 100 years later, I joined his reenacted regiment for centennial events. 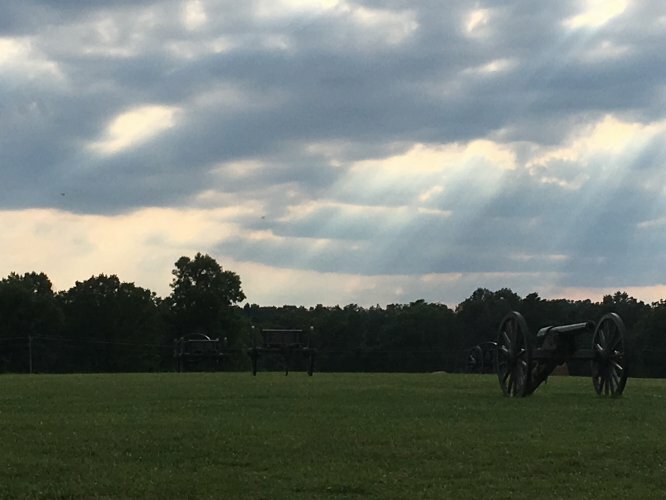 Name: Zenas Bradley Zenas' story "coming soon"
Battles: Peninsula Campaign, Seven Days, Antietam, Fredericksburg, Brandy Station, Upperville, Gettysburg, Belle Isle. 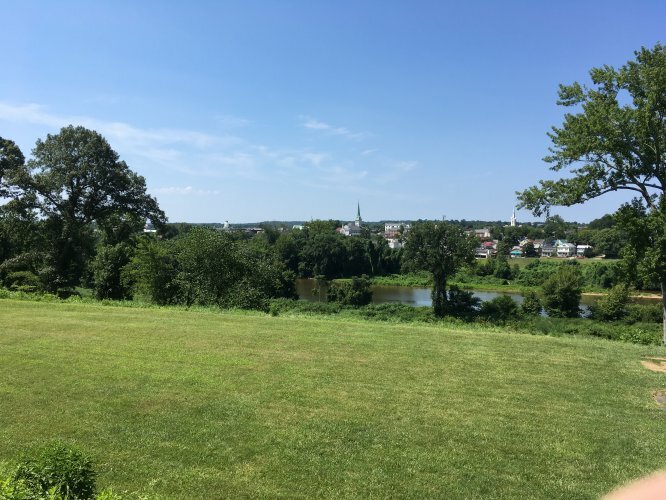 War Status: Charles F. Miller was captured at Fairfield (near Gettysburg) and imprisoned in Richmond, was exchanged, and survived. 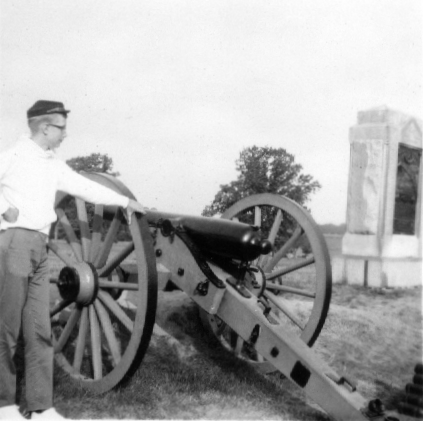 In the sixties, I visited the Gettysburg battlefield not far from where cousin Charles was captured. 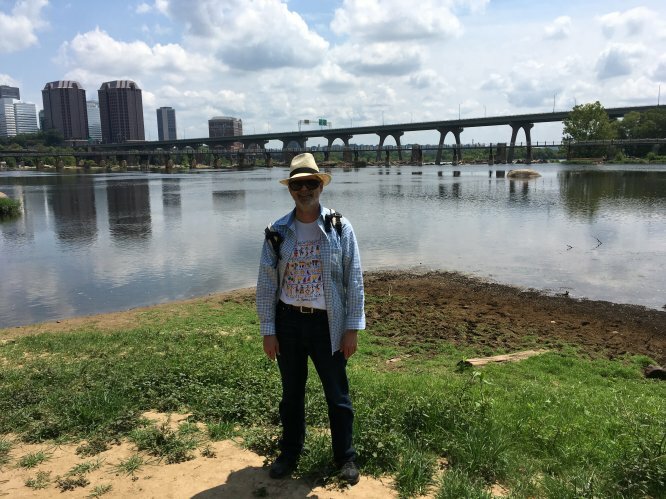 And in 2017, I visited Richmond's Belle Isle, where he was imprisoned. 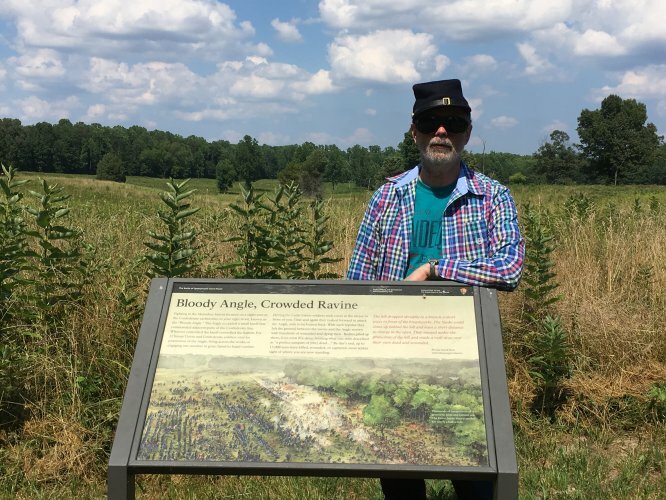 Name: Chauncey Butler The Michigan Musketeers' story "coming soon"
Name: Edward Chamberlain The Michigan Musketeers' story "coming soon"
In 2017, I visited the Spotsylvania battlefield. The Bloody Angle is where Edward was killed and Chauncey was fatally wounded. Name: G. Sumner Chamberlain The Michigan Musketeers' story "coming soon"
War Status: Survived. His first name was George, but I already have a George, so I'm using his middle name instead. I think of Sumner, Edward, and Chauncey as "The Three Michigan Musketeers." All three were born in New York but moved to Michigan when young. 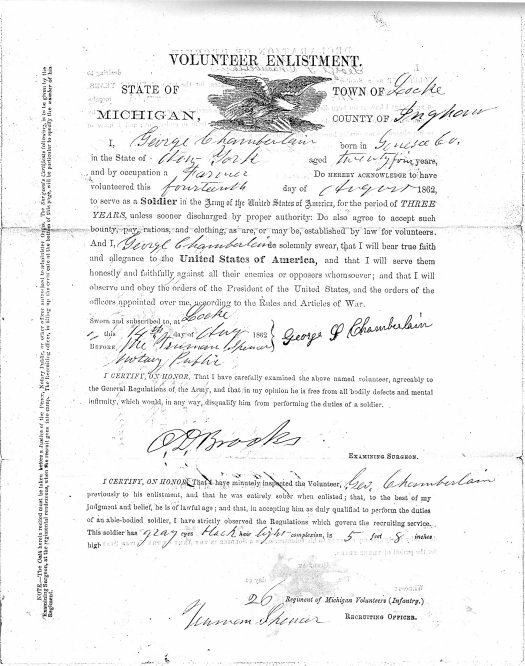 Left: Sumner's enlistment paper. 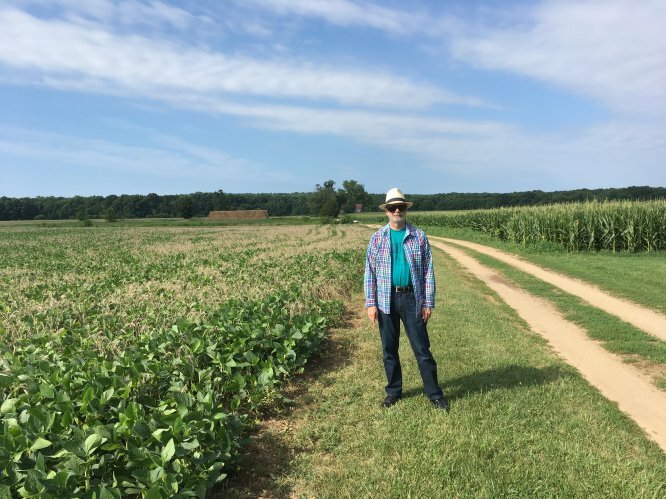 Right: I visited the Cold Harbor battlefield in 2017. 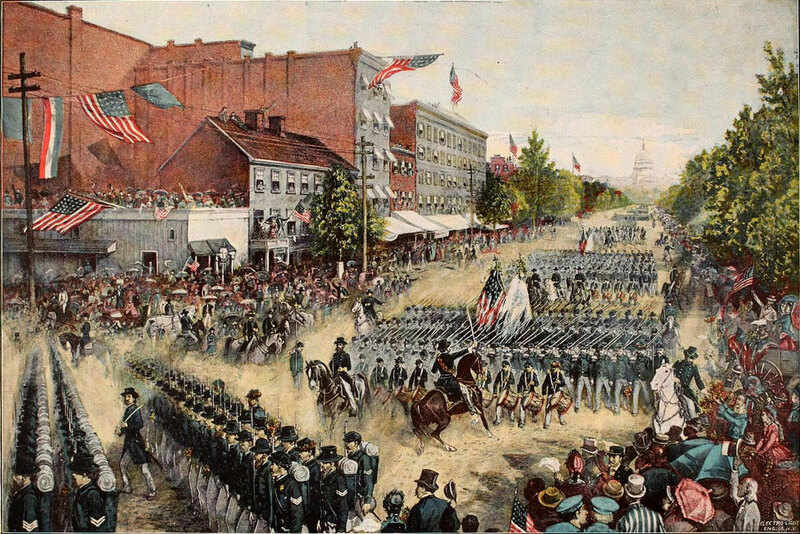 After the fight here in June 1864, Sumner fell sick and was not able to fight another battle. Name: Horton Chamberlain Horton's story "coming soon"
War Status: Died a P.O.W. at Andersonville. 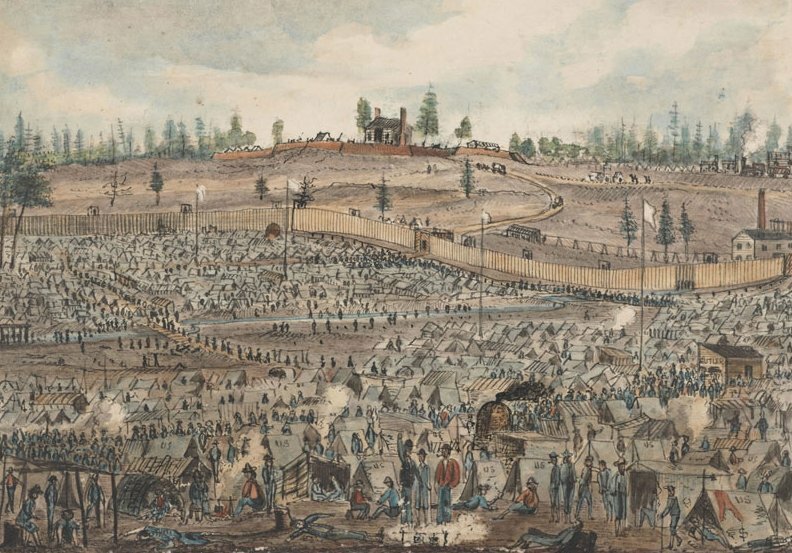 Held at Andersonville at the same time as Robert Knox Sneden (who met Nathan Bradley in Richmond), and John Ransom (whose Andersonville diary became famous). 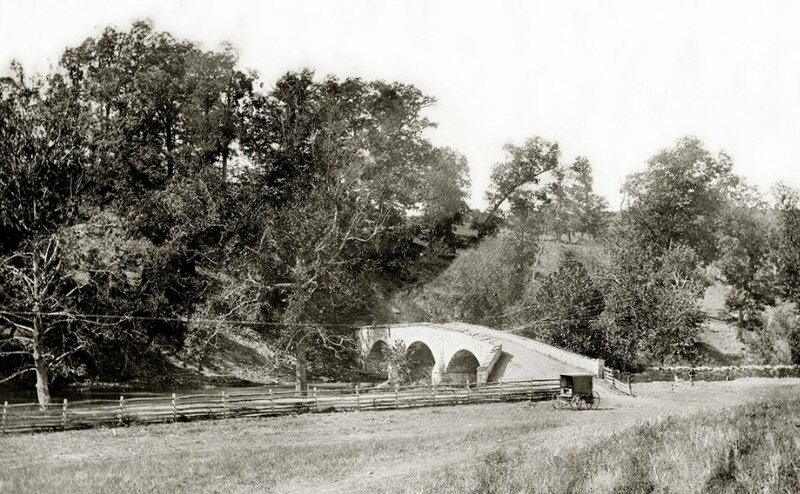 Name: William N. Chamberlain William's story "coming soon"
Left: "Burnside's Bridge" at Antietam. Uncle William was wounded in a fight up on that hill in the background of this view. Cousin Daniel was up that way, too, fighting for the other side. Right: William and Daniel faced off again at Fredericksburg (photo 2017). War Status: Killed at Fort Wagner. His dogtag was taken from his body (possibly by J.F. 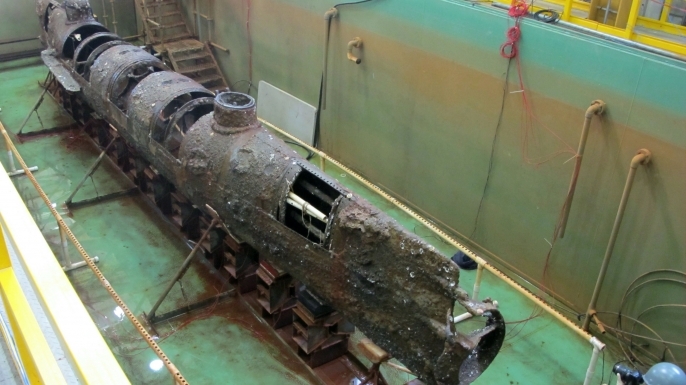 Carlsen if not by Joseph Ridgeway), and was worn aboard the Confederate submarine CSS Hunley by Confederate seaman Joseph Ridgeway. 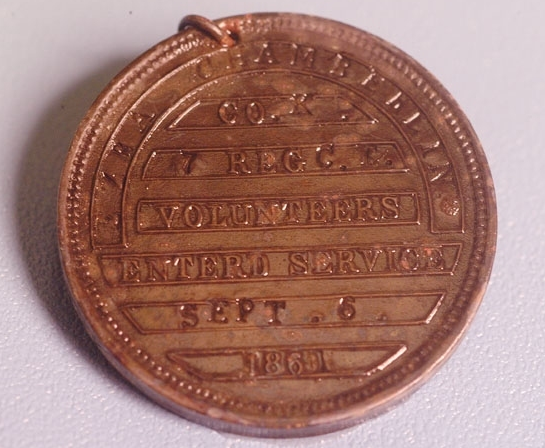 Ezra's dogtag was discovered in 2001 when the Hunley was raised from the sea bottom. Ezra was the 6th cousin once removed of William, Sumner, Edward, Horton, Finley, and Joshua Lawrence Chamberlain. Name: Finley Chamberlin Finley's story "coming soon"
Name: Elliott B. Kinne Elliott's story "coming soon"
Four themes recur throughout the heroes' journey: two characters1, and two locations. 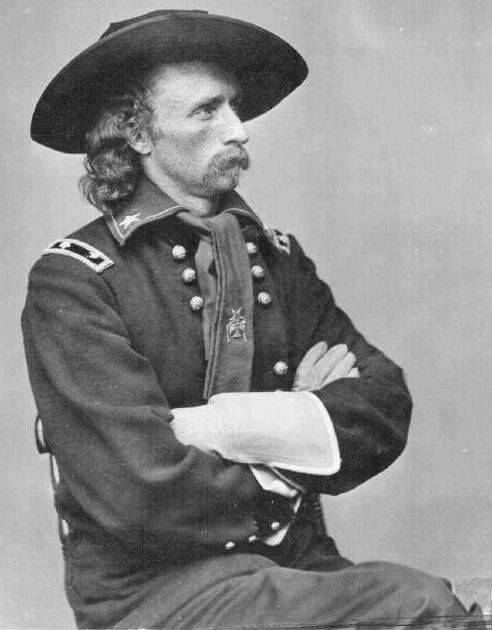 George Armstrong Custer was the youngest general in the Civil War. He was famous for his flamboyant attire and his daring cavalry tactics. He won an important cavalry fight at Gettysburg, preventing a catastrophic attack on Meade's rear. Custer's men tangled with cousin John Sloper's 35th Virginia Battalion several times. And grandpa George VanArsdale's 15th New York Cavalry came under Custer's command in late 1864. 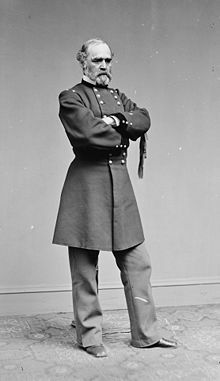 John Singleton Mosby commanded the 43rd Battalion, Virginia Cavalry, operating largely independently of the Confederate armies, causing havoc with Federal communications and supply in the northern counties of Virginia. Cousin John Sloper's comrades were jealous of Mosby - they wanted to protect their home county, but their unit was roped into regular service. 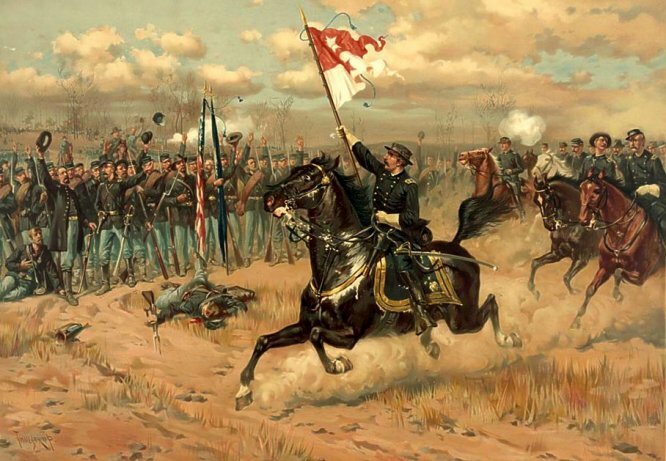 Cousin Nathan Bradley was captured by Mosby in Nathan's first cavalry fight. 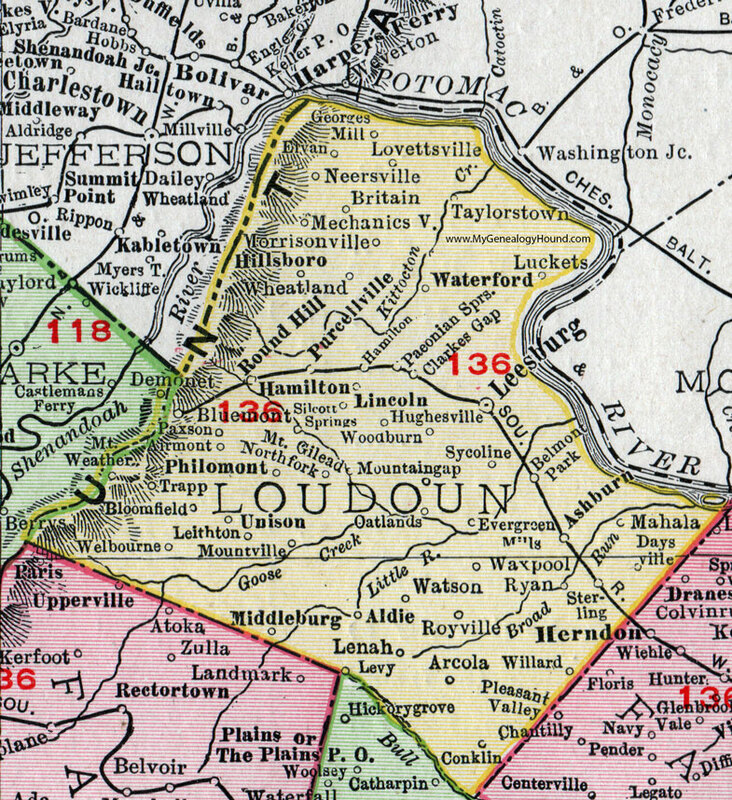 Loudoun County, Virginia, was the home of John & Daniel Sloper, and was the scene of actions involving Yankees George VanArsdale, Horton Chamberlain, Nathan Bradley, & Charles Miller. 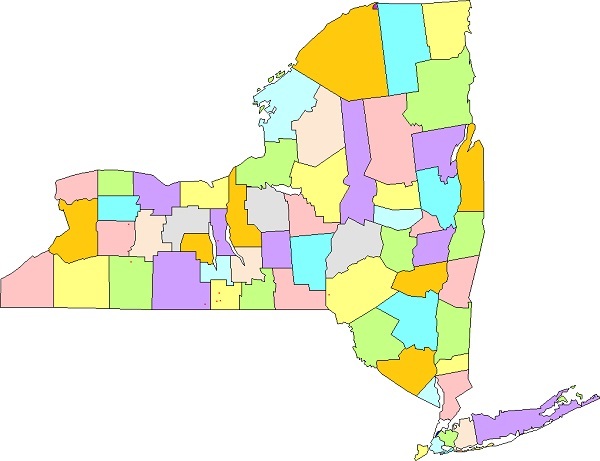 Upstate New York is where I am from, and it's where my ancestors were from. My heroes all came from the western part of the state (above the 42nd parallel Pennsylvania line). All but two, that is. And I'm not talking about the Virginia Sloper boys (they were born in Upstate New York). Even the Michigan Musketeers (Sumner, Edward, and Chauncey) were born in Upstate New York, before migrating west. The two exceptions are Henry & Ezra, from New England (Massachusetts & Connecticut, respectively). And I'm not counting Joshua Lawrence Chamberlain or Montgomery Meigs (both from other states), since it's the enlisted men who are the subjects of these stories. Officers' tales have been examined thoroughly by historians. I have focused my efforts on my ancestors who were unsung enlisted men. I want their stories to be remembered. War Status: Survived. Spent a horrific night on the field at Marye's Heights, sheltering behind dead bodies. Defended Little Round Top, saving the Union left at Gettysburg. Wounded grievously at Rives' Salient, at Petersburg - was thought his wound was fatal. Granted a battlefield promotion, but returned to command. Wounded again at Quaker Road, again thought to be fatal, but stayed on the field. 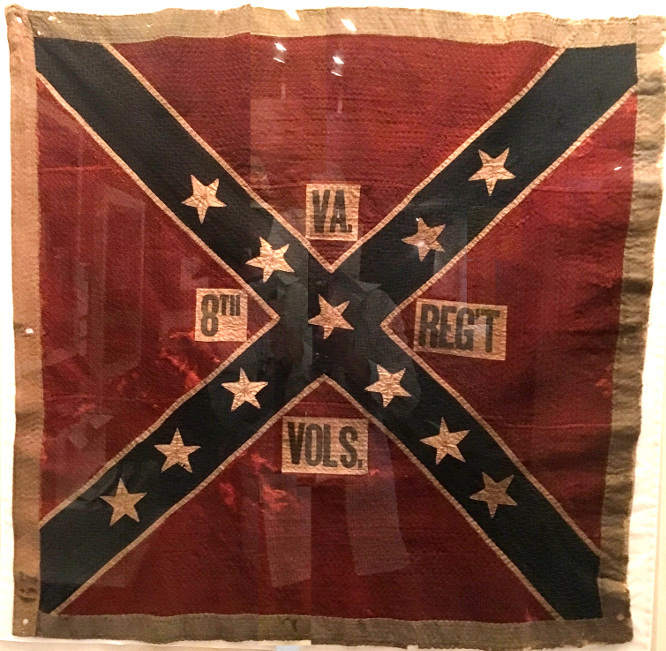 Received the surrender of the Confederates' arms, ordering his men to salute. Lawrence was the 5th cousin of William, Horton, Sumner, Edward, and Finley. He was Ezra's 6th cousin once removed. What he did: Born in Georgia but loyal to the Union, he very ably directed supply, transportation, construction, and logistics for the entire Union effort. War Status: Survived. In the April 2016 issue of Civil War Times, author Paul F. Bradley called Meigs the #2 reason why the Union won the war. Montgomery Meigs and Zenas Bradley, above, were 3rd cousins. War Status: Survived. 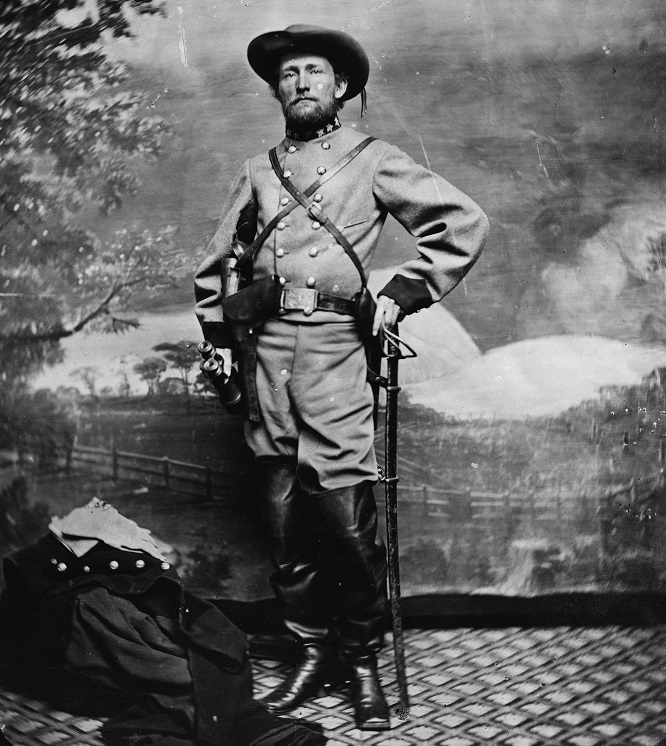 Captured by Grant at Fort Donelson, sent as a P.O.W. to Camp Douglas in Chicago. Took the oath of allegiance to the Union, and fought out the remainder of the war as a Yankee. 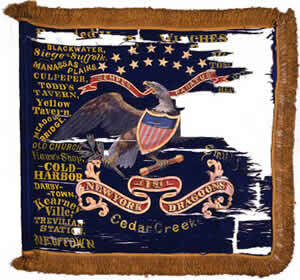 He was the third Sloper at the battle of Cedar Creek (after John and Gilman, above). Guard duty in Richmond VA after the city was taken. 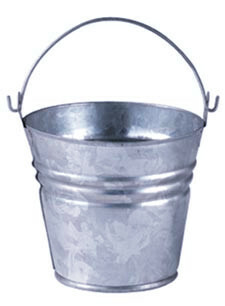 he took to wearing a blue coat - kind of like a galvanized bucket. If you enjoy these stories, your donation would be gratefully accepted, and would help defray the cost of maintaining and updating this interactive novel. Thank you!